All of our units are Complete Ready to use, No soldering needed. Just brew! The Distillery Network is an artwork company that specializes in the manufacturing and production of Copper Artwork. Our skilled craftsmen create these unique, yet fully functional pieces of art located in the state of New Hampshire. 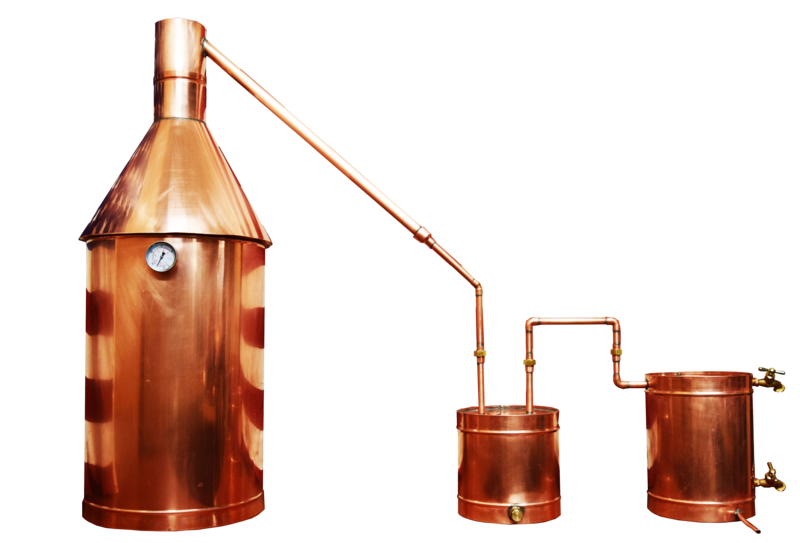 We specialize in the manufacturing and production of these 10 gallon all copper MOONSHINE STILLS which are handcrafted to perfection. Made using heavy gauge copper and lead free solder, our units are built to last. All of our units are water tested and have ZERO leaks. POT, THUMPER, WORM, and CAP with Temperature Gauge, build with 100% lead free materials. Your unit will be shipped in a safe and timely manner for NO ADDITIONAL COST!!! FREE SHIPPING!!! To the continental US. Hawaii and Alaska may be additional for shipping. Please contact us if you are from Hawaii or Alaska so we can go over shipping options. YOU need to own this unit. Whether it is for display as art, for fun, or for survival purposes, you will be satisfied with your product, or we guarantee your money back! We mass produce the HIGHEST QUALITY distillation units available on the market. A lifetime warranty in included with every purchase to guarantee complete customer satisfaction. Our distillation units are built in the USA with thick sheet copper which is 20 oz. 22 GUAGE stock. We have a custom, patented design which is a TRUE APPALACHIAN MOONSHINE STILL. Functional FOLK ART. our stills are the best , we have a 7,000 sq foot facility in Manchester New Hampshire. The mill buildings along the Merrimack River have a deep cultural history within the American Industrial Revolution. 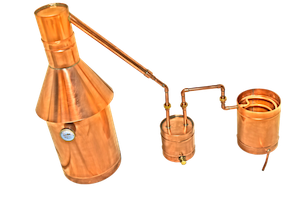 The Distillers Renaissance is upon us, and NOW is the time for YOU to own your very own 100% all copper Distillation Unit / Moonshine Still. This is the best time to buy your own natural survival tool. Our prices are very competitive. We Build distillation units from 2 gallons up to 25 gallons. Our feedback speaks volumes and you will be pleasantly surprised with the satisfactory customer service you receive by doing business with THE DISTILLERY NETWORK INC.